When will be Mike, Lu & Og next episode air date? Is Mike, Lu & Og renewed or cancelled? Where to countdown Mike, Lu & Og air dates? Is Mike, Lu & Og worth watching? 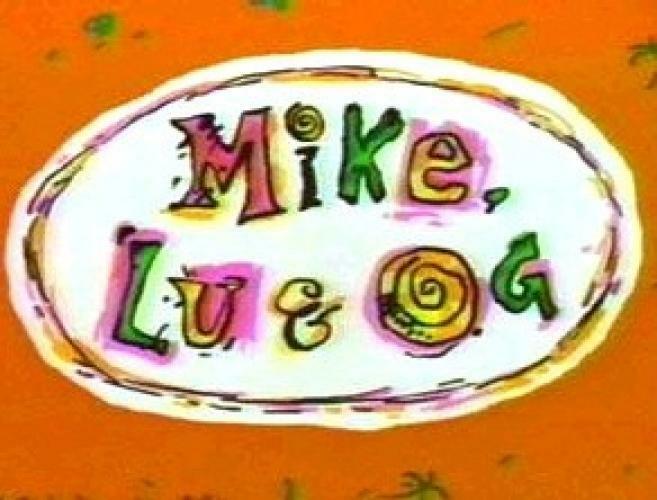 Mike, Lu & Og premiered Friday May 7, 1999 during the Cartoon Cartoon Fridays block. The series was about every day life antics on an island in the pacific. The show also had a New Yorker, Mikey who was living there after she jumped off of a student exchange student program. LuLu (Princes Lu) is the islands spoiled bratty princess. Og is the genius of the island who can invent just about anything including T.V's, skates, etc. Lancelot is Lu's "abused" pet turtle. Mike Lu & Og is currently airing on Boomerang at 9:30 A.M and 2:00 P.M. Boomerang is a digital/satelite channel that previously aired all Hanna Barbara cartoons from the 60's and 70's, but has recently added numerous mid 90's shows such as Mike, Lu & Og, Captain Planet, Dexter's Lab, etc. In recent interviews with Warner Brother's DVD distributors it has been stated that there are plans on releasing the entire Cartoon Network library to DVD. EpisoDate.com is your TV show guide to Countdown Mike, Lu & Og Episode Air Dates and to stay in touch with Mike, Lu & Og next episode Air Date and your others favorite TV Shows. Add the shows you like to a "Watchlist" and let the site take it from there.